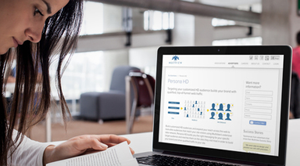 MultiView, a company that provides digital marketing solutions for B2B marketers, has launched Persona HD, a solution designed to help B2B marketers develop insight-driven campaigns targeting audiences based on firmographic and demographic data. The solution aims to help B2B marketers create scalable campaigns to target prospects that best fit their ideal profiles. Detailed campaign analysis and audience insights. "Historically, data segments in the B2B space have been nonexistent and B2B marketers have faced difficulty reaching their target audience using the demographic attributes available in consumer data,” said Steve Fulbright, COO of MultiView. “Now, with Persona HD, B2B marketers will be able to tap into deep B2B data [firmographics, roles, professions, etc.] to create detailed segments and run highly targeted campaigns.